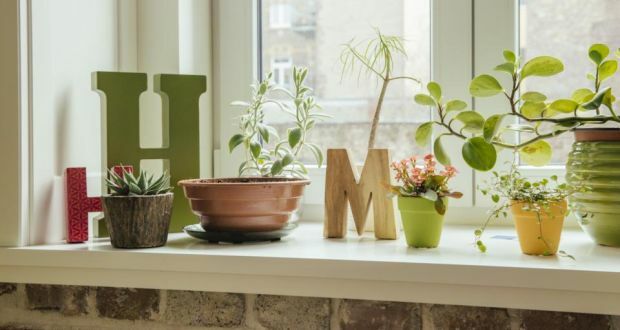 Houseplants can remove up to 90 per cent of toxins and dangerous chemicals within 24 hours according to Nasa research. Baby rubber plants will absorb various carcinogenic toxins and replace them with fresh oxygen; bamboo palm will also deal with toxins while humidifying the air, and aloe vera can remove formaldehyde, which along with benzene and trichloroethylene are the main harmful chemicals off-gassed by synthetic substances. One plant per 9.3sq m (100sq ft) is the recommended amount to decrease your risk of cancers, asthma, allergies, autoimmune disorders and other diseases. Keep the leaves clean for maximum absorption of air particles. If you want to find a hazel tree, follow a squirrel. If you want to get a crop of nuts off it, shoot the squirrel. So says celebrity chef Hugh Fearnley-Whittingstall, who then suggests that as grey squirrels are both plentiful and delicious, let’s eat them. When I wrote on this topic a few years ago, some people were horrified at the thought of eating an animal that is classified as vermin. But then so are rabbits which are also scrumptious. We even did a piece on Ear to the Ground where we demonstrated how to cook a squirrel casserole but again, not everyone was convinced. Then squirrel began to appear on the menus of some British restaurants and one enterprising chef called them “flightless grouse” to overcome any negative perception of what the dish contained. Perhaps if “Southern Fried Squirrel” was available in our fast food outlets it would rapidly become popular and walk, or rather scamper, off the restaurant counters. The European Squirrel Initiative www.europeansquirrelinitiative.org produce an excellent magazine which highlights the damage that greys cause throughout the continent and the most recent issue contains further recipes which include Black Forest Smoked Squirrel and Fruited Squirrel. Check out http://www.cooks.com/rec/search/0,1-0,squirrel,FF.html for more great dishes. It is estimated that over ten million pounds worth of damage is caused annually in Britain by greys and the European parliament are about to introduce legislation to help control them. Greys have not yet reached France but forests in Italy have suffered huge damage and cobnut producers in Kent lose approximately one third of their crop each year to what we fondly call “the tree rat”. Nut growers there each spend on average £3,000 annually on crop protection and their spokesman stated that the public should be made aware of the dangers of feeding greys. The damage they cause is still not fully understood outside farming circles and he recommended that all nut producers who sell online should post a warning to the public on their websites. Having spent the past fortnight marking hardwood trees for thinning, I was reminded forcibly of the appalling damage they had suffered. The sycamore had been so badly hit that perhaps 50% were reduced to useless scrub but having removed most of these in the process of respacing two years ago, the majority of the remainder are not too bad and may well produce worthwhile timber in another 50 years or so. In the meantime, further thinnings will provide excellent wood fuel. Just in case readers are not familiar with the damage greys can cause, imagine a young tree that you have carefully nurtured for a decade or more and suddenly you look at it one morning and notice that the bark has been stripped from the trunk, usually about two meters above ground level. Frequently the stem of the tree is completely ring barked so it dies above that point. Instead of the tall, straight specimen you had envisaged, it then regrows in to an unsightly bush, hardly even useful for firewood. Happily this was all in the past as by constant trapping and shooting we have managed to reduce the population of greys to negligible numbers. Also, the arrival of buzzards and possibly some pine marten have helped ensure that the woods will now remain safe. We are keeping a close watch however and will continue to trap until the hoped for day when native red squirrels will reappear and recolonise the woods. Here in Meath the oak have also suffered badly and I found while marking them that perhaps half of what were potentially final crop trees will have to be removed due to ring barking. It really is heart breaking to see this happen so if you want to help protect our native trees, cook some squirrel for Christmas. All the good meat on a squirrel is on the back legs or haunches and like pigeon breasts, it is hardly worth the trouble of preparing the rest of the carcass. A simple recipe from my game cookbook goes as follows. Take two skinned squirrels and wash, dry and joint them. Add 50g chopped rashers plus 2 chopped onions and some nutmeg and thyme with salt and pepper to taste. Add 1.5 litres of water or chicken stock and place in an oven proof dish. Having covered the dish, cook in a slow oven for 1.5 hours. Remove the squirrels and reduce the sauce by simmering and serve with vegetables of your choice. Anyone for turkey stuffed with squirrel?